This Hellhound Ultratech from Microtech features a unique tanto blade profile with a two-tone finish and a black aluminum handle. The blade is made from Bohler M390 steel with satin flats and black grinds. 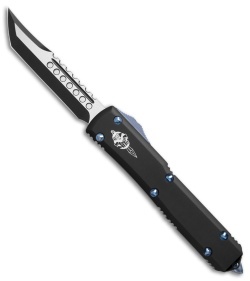 Comes equipped with blue anodized hardware, thumb slide, and glass breaker. 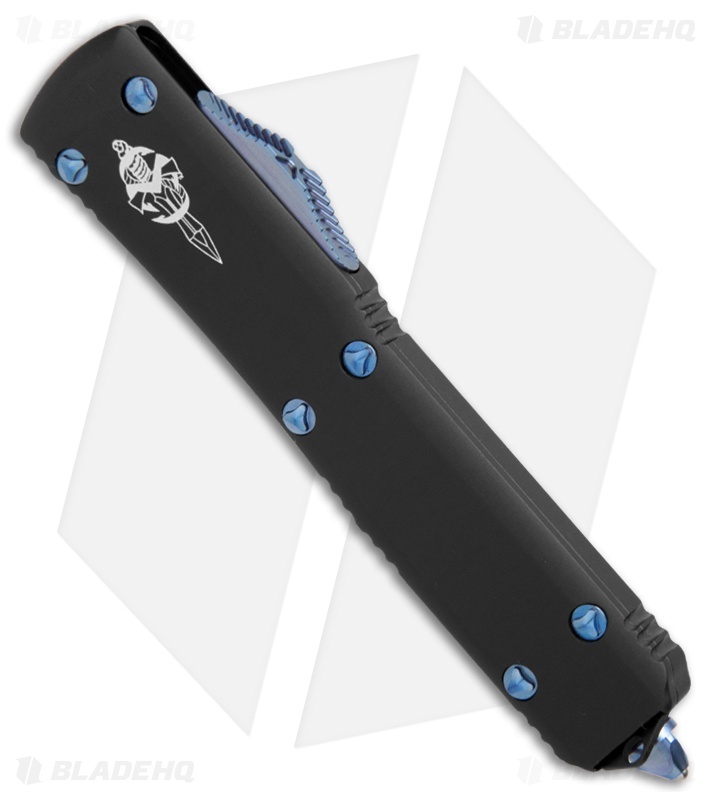 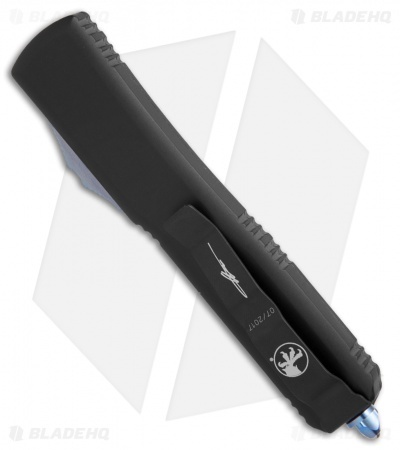 Microtech has updated the venerable Ultratech knife. While the dimensions and action remain the same as the previous model, this latest version features beveled edges, a modified thumb slide and tri-angle hardware. 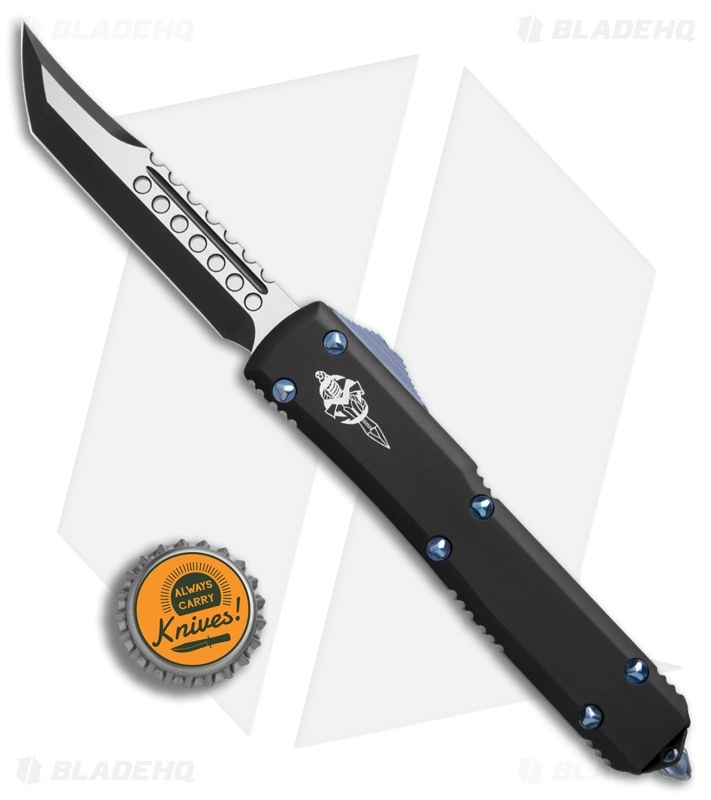 The end result is an impressive Ultratech that improves upon what has become the must-have OTF automatic.